In an inspiring address to young aviators and aerospace professionals at Wings and Helicopters Careers in Aviation Expo in Calgary this past May, WestJet Encore president Ferio Pugliese emphasized the importance of developing young leaders in Canadian aviation and aerospace. Finding and retaining these difference makers, Pugliese noted, continues to be one of the most important tasks corporations face each year. Fortunately, many Canadian aviation and aerospace firms are blessed with employees who are taking the reigns and implementing change for the better: developing new systems, processes and value-added efficiencies to enhance operations. In our annual Top 20 Under 40 report, we uncover 20 influencers who are working to fill this much-desired leadership gap. Many are not only implementing change, but are extending their leadership abilities by helping with various industry associations and community projects. The 20 individuals featured here were carefully selected by our editorial team following an online contest that ran earlier this spring. Candidates were nominated by colleagues based on their influence to drive change, leadership skills and more. In most cases, nominators had several years of experience working with the candidates, observing how they cultivated their skills and grew in their respected spheres. Featured alphabetically, our Top 20 Under 40 achievers represent the resourcefulness, commitment and dedication organizations are craving in today’s marketplace. We salute the achievements of all who participated. Helping to influence change at one of Canada’s top aerospace companies is a dream come true for Michael Nault. For the past 10 years, the 32-year-old program director at Bell Helicopter Textron Canada has played a critical role in helping to drive program development at the Mirabel, Que.-based company. After graduating from école Polytechnique de Montréal with a bachelor’s degree in mechanical engineering in 2006, Nault began his career as an airframe structures engineer. After only a few years, he was selected by Textron to participate in a leadership program where he moved to the U.S. for three years to work at other Textron business units. Nault worked at as product engineer at Kautex, an automotive business unit, then went to Bell’s research and development centre to work on flight tests on the BA609 (now AW609) tilt rotor aircraft. He completed the development program at Lycoming engines as a systems engineer before coming back to Mirabel in 2011 to manage the technical team supporting the Bell 206L4 and 407 assembly lines. In 2013, Nault was named chief engineer for the in-production of light single helicopters, becoming technically accountable for the 206L4 and 407. Over the course of two years, Nault led his team through several safety and performance initiatives leading to the successful launch of the Bell 407GXP at Heli-Expo in 2015. Nault was awarded the Larry D. Bell Pioneer Award and the 2015 Textron Chairman’s Award for Innovation, and was also named program director for Bell Helicopter’s light single aircraft. An active and passionate member of several industry associations including the board of directors of the Montreal-Ottawa chapter of American Helicopter Society (AHS) International, Nault is one of Canada’s leading ambassadors for the helicopter industry. Doing anything necessary to get the job done as efficiently as possible. It’s the perfect way to describe the work habits of Denis Bourgouin. The 39-year-old is the director of maintenance for Winnipeg-based Fast Air, a role he continues to refine and grow. Bourgouin began his career as a groomer, working his way up through the ranks to the position he holds today. Over the years, he has continued to develop himself, and he now holds several aircraft maintenance endorsements. During the company’s implementation of the Gulfstream fleet, Bourgouin played a key role in the process, working closely with the Gulfstream team on deliveries. In his current role, he is responsible for most of the financial aspects of the department and AMO staff. Definitely a “people” person, Bourgouin works closely with all members of the team to ensure personal expectations are met. Through his leadership, the AMO has long-serving team members who are more than happy to come to work. Bourgouin is always looking for ways to improve on the firm’s processes to increase aircraft availability. A key member of the management team, Bourgouin is also a supporting member of the Central Aircraft Maintenance Engineers Association. His leadership and attentiveness to detail set him apart from the crowd – and make him a definite asset to both Fast Air and Manitoba aerospace. Shawn Braiden, 37, was been bitten by the aviation bug long ago. At the age of 12, he joined the Royal Canadian Air Cadets 676 squadron in Sydney, B.C. 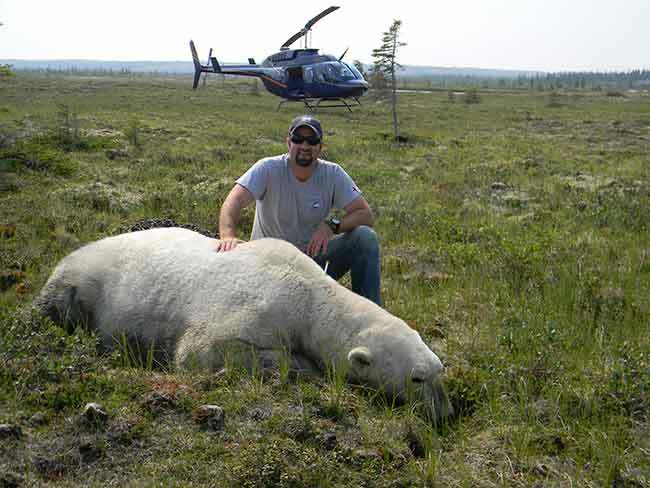 In 1997, he received his pilot’s licence, while working as a volunteer at the Victoria Flying Club. Braiden felt it was essential to attain his AME’s licence because this would give him valuable insight into how his aircraft worked. He attained his AME “M” licence from BCIT and then accepted a part-time position with Harbour Air as an apprentice/groomer. Four months later, he completed the BCIT program and became a full-time apprentice at Harbour Air. He also worked part-time for Tasman Helicopters. 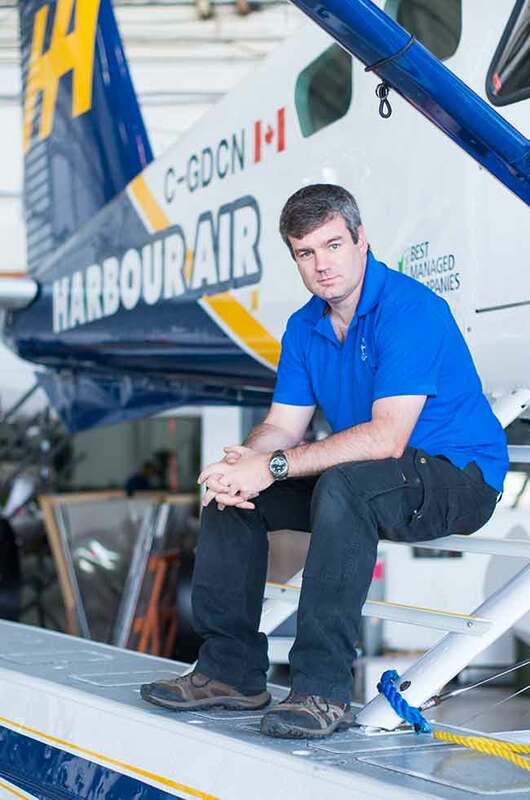 Braiden’s leadership skills, passion for the industry and commitment to safety was noticed early on at Harbour Air. In 2000, he was appointed crew chief despite only being an apprentice. In 2001, he attained his AME licence and in many ways, his career was set to soar. In 2005, Braiden was instrumental in creating the Coal Harbour Line Maintenance base and in 2013, he was accepted by Transport Canada as a PRM delegate. He accepted that role at Harbour Air a few months later. As he has progressed with the company, he has focused on improving efficiencies and ensuring the top safety for his crew. He is currently responsible for a fleet of 40 aircraft, in addition to approximately 30 third-party aircraft, as well as the firm’s quality assurance policies. An active member of the aviation community, Braiden sits on the BCIT Program Advisory Council and is a member of the Vancouver Soaring Association, COPA EAA and the Cessna 195 club. The proud owner of two vintage gliders and his own Cessna 195, to say Braiden has followed his aviation passion would be an understatement. It wouldn’t be far-fetched to say Sean Davies isn’t just good at one thing – he’s proficient at many. The 36-year-old is the co-owner/operator of Thunder Bay, Ont.-based operator Maintair Aviation Services – a Shell Aviation dealer and ground handling provider, and president of Deciphr, an aviation leasing and consulting firm. Davies is an aviation veteran of some 18 years with expertise in a number of areas including sales, marketing, flight and ground operations, safety development, scheduling and strategic planning. It’s an impressive background for sure. A graduate of the Confederation College Aviation program in 2000, he began his career with Slate Falls Airways and then quickly moved to a management position with Wasaya Airways where he was employed for 11 years. An entrepreneur at heart, Davies then took on the role of manager at Maintair with the future intent of becoming a partner in the company. He became co-owner in August 2014. Today, Davies puts his skills and expertise to work in a number of enterprises and also finds time to support the community he calls home. Whether working with the Thunder Bay Regional Health Sciences Centre raising dollars and awareness for its many services, or sitting on the advisory committees for clubs and associations, Davies always finds time to give back. Davies is also the recipient of the 2012 Queen Elizabeth II Diamond Jubilee Medal for outstanding and remarkable achievement for the Governor General of Canada, and is a supporter and Advisory Council member of Confederation College. He is recognized throughout his community as a dynamic supporter of both aviation and the city he loves. TITLE: Hardware Engineer, Aversan Inc. It didn’t taken Gary Dew much time to make a significant impact on the Aversan team – and he hasn’t stopped since. The 28-year-old hardware designer heads up one of Aversan’s largest projects and his leadership abilities have been apparent since he joined the organization. 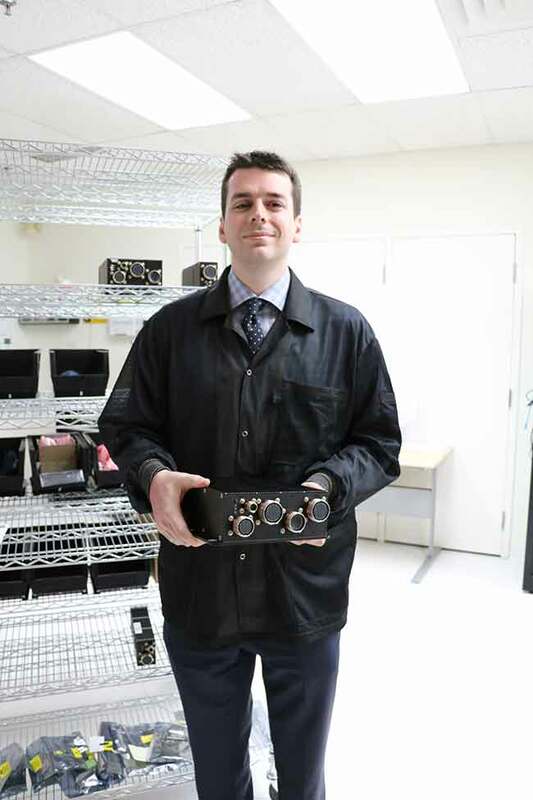 After just six months, Dew proved himself working on the C919 embedded controller and designed an automated test rack for the program. He has since led the electrical engineering design and development on a number of other projects, including a Thales train simulator. Now working with NG HUMS, Dew is spearheading a team of seven engineers working on system architecture and design. As well as being a gifted hardware designer, Dew is very proficient at understanding client needs and design schedules. They trust his expertise and he is a great liaison for his colleagues. The group is thrilled to work with such a reliable, open teammate, one that fully understands the challenges they face. Always maintaining his composure under tight deadlines and pressure, Dew is a valuable asset to not only to Aversan, but the aerospace community as a whole. Jesse Goranson, 34, has been with Heli-One for four-and-a-half years, originally starting with the company as an external consultant. After developing a passion for the aviation MRO industry, Goranson took on a permanent role with Heli-One to develop and execute business intelligence initiatives. 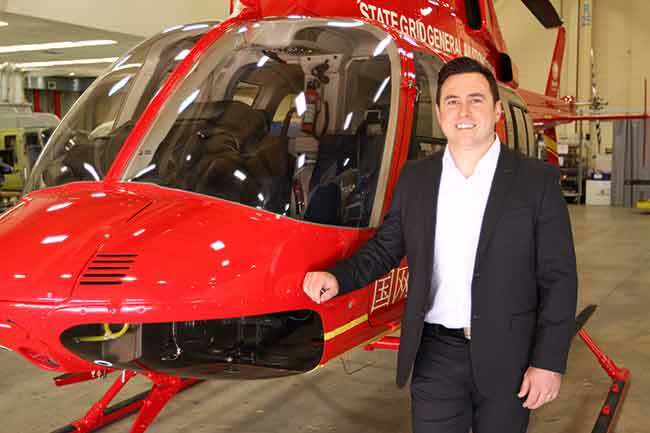 He then took on a bigger role as the manager of marketing and strategy and works to identify new markets and opportunities to grow Heli-One’s reach and capabilities. Goranson works with Heli-One’s global facilities, OEMs and industry partners to further develop areas of potential growth and development. He has spearheaded notable achievements that include leading the launch of a new website, increasing the addressable market by 20 per cent through OEM partnerships and has generated an additional 10 per cent in annual sales through the launch of marketing automation and enterprise technologies. Capable and always displaying a sound work ethic, Goranson is an important asset to the Heli-One operation on a number of levels. Warren Gosselin is a skilled, hard-working member of the NAV CANADA team. The 36-year-old is responsible for managing NAV CANADA’s maintenance contract with the Canadian Air Transport Security Authority (CATSA), in which he is embedded as a client executive. Under this contract, NAV CANADA maintains passenger security equipment at the country’s airports. Gosselin is responsible for overseeing other existing maintenance service contracts and acquiring new ones – a task he has proven to excel at. 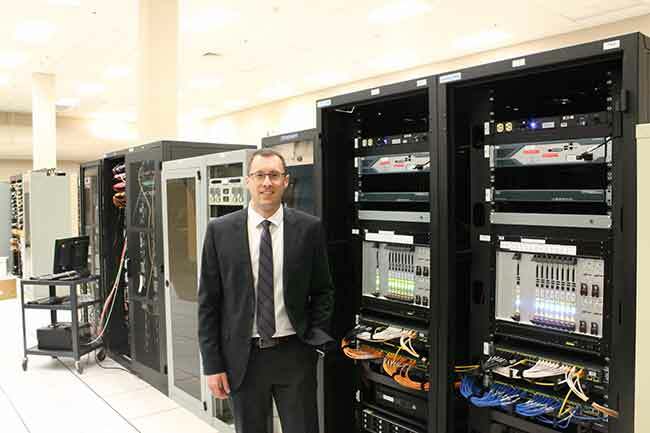 Before moving to the head office, Gosselin was manager of technical operations for the Winnipeg flight information region, responsible for ANS equipment across much of central Canada and Nunavut. Gosselin has been a key member of the NAV CANADA team for a decade and has led several highly successful national initiatives that have fostered significant change and improvement within the ANS. He has also won two awards of merit for outstanding service. Gosselin is dedicated to improving the culture of the organizing through his strong leadership skills and work with colleagues. Within NAV CANADA’s broader company initiatives, he is part of a core team involved in collaborative efforts with industry partners. He continually proves to be one of the most dynamic leaders at NAV CANADA – resourceful, attentive and influential. Moving a company forward isn’t possible unless you yourself are forward thinking – and Milena Kohanenko fits this description. Kohanenko, 35, oversees the regulatory compliance of Ledcor’s Aviation division – both fixed and rotary wing – as its aviation compliance manager. Constantly raising the bar has been a hallmark of Kohanenko’s leadership style and those that have worked with her quickly realize she is a passionate leader who knows the regulatory environment inside and out. Kohanenko holds a law degree from the Ukraine and is an IRCA certified ISO auditor and COR auditor. Previous to her current role, she was the director of compliance for the Summit Air Group and the compliance manager for Arctic Sunwest Charters reporting to the accountable executive. She designed, implemented and maintained a best in class Quality Assurance Program (QAP) at both companies. Kohanenko is well-respected by both her peers and colleagues at Ledcor for her unwavering professionalism and commitment to safety in aviation. 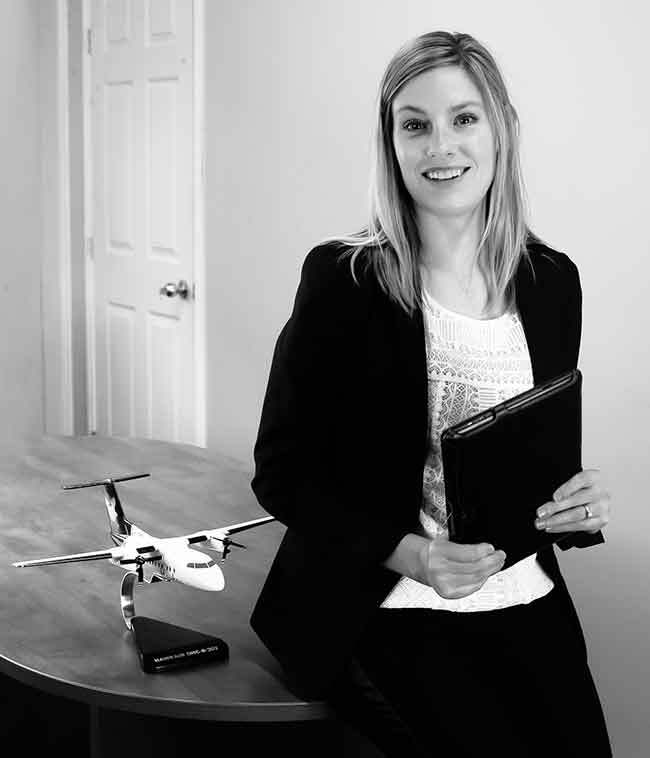 From concept to completion, it takes a driving force to get the job done, and for 13 years, Jocelyn Lebell, 34, has quietly helped to build the Hawkair brand. 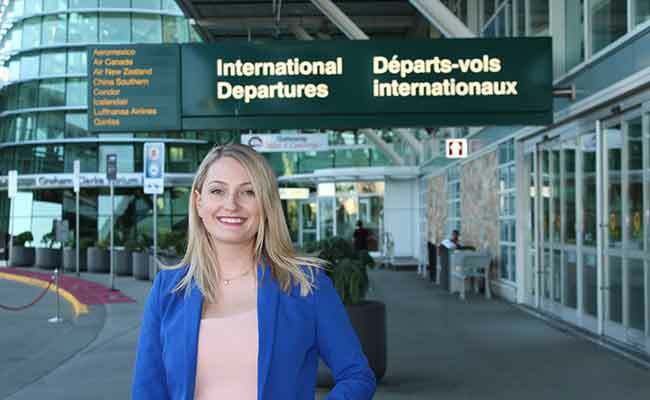 As a young honours graduate from the BCIT Marketing Management program, Lebell joined the airline industry and has thrived on the complexities and challenges of her various roles. Upon joining Hawkair, she took on the challenge of revenue management and was instrumental in modernizing the process. She was a key innovator of the Ultra-Econo fare, and in 2014, she entered Hawkair’s Women in Leadership Program as the pioneering woman. She also became director of corporate services, where she translates corporate strategy into business strategy enabling the team to attain personal development goals. Today, she is a senior executive and leads the Corporate Business Services Business Unit. A passionate speaker and active member of several industry associations including BCAC, NATA and ATAC, Lebell is committed to giving back to her community. She was recently named to the Board of Directors of the Northern Savings Credit Union in Prince Rupert, B.C., providing valuable input into key initiatives as well as acquiring business intelligence to help foster the development of Hawkair. 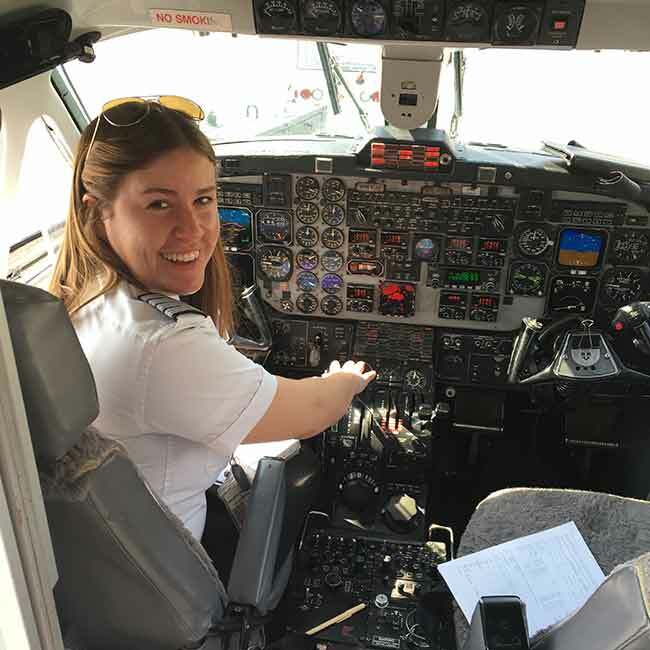 Confident, attentive and innovative, Lebell is very conscious of her roles and is an active participant in advocating for young women seeking to grow in aviation and aerospace. Candace McKibbon, 25, has always understood the importance of “doing a little bit extra” no matter what the task. She did so as a student at BCIT and she’s showing the same kind of commitment and initiative in her role as executive director with the BC Aviation Council (BCAC). McKibbon graduated from the BCIT Airport Operations diploma program in February 2014. As a student, she brought passion, leadership ability and determination to the industry in a number of ways, volunteering for key events such as the CHC Safety & Quality conference and working as a mentor for other students. In her role as executive director, she works tirelessly to find new ways to connect key players in the B.C. aviation and aerospace community, with a particular emphasis on helping young aviators in career development. An engaged volunteer for a number of organizations, McKibbon still works closely with the Aviation Leadership Foundation and the BCAC, connecting young aviators to established professionals to share experiences. McKibbon has been honoured with a bevy of important awards for both community and scholastic achievement, and continues to impress both co-workers and other industry leaders with her ongoing commitment to B.C. aerospace. A day at the office for Miller could mean flying in remote northern geographical locations, ferrying across the Atlantic or towing an aerial target being shot at by the Navy. 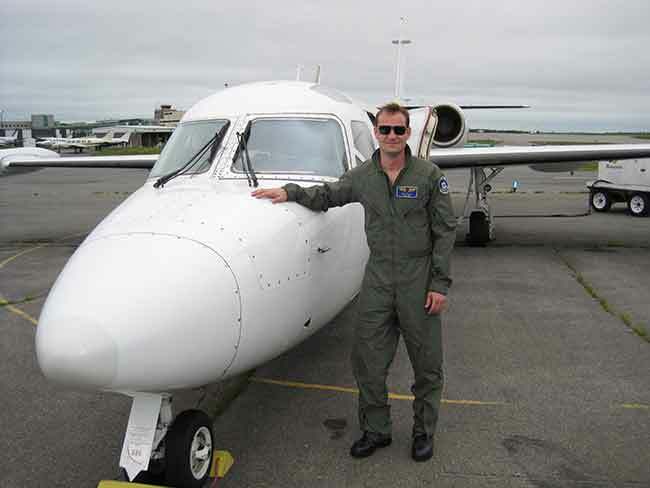 Since joining Discovery Air Defence (DA Defence) in 2009, Miller has flown more than 1,100 hours on the Westwind special mission aircraft delivering service under the interim Contracted Airborne Training Services (iCATS) program, and earned his captain qualification in February of 2015. Miller is involved in flying unique missions involving Electronic Warfare Training, Aerial Target Towing and real-time quality assurance verifications of Canada’s northern early warning radar system . . . to name just a few. Miller also played a key role in the delivery of the company’s A-4N fleet from Mesa, Ariz. to Wittmund, Germany. The ferry involved several winter transits across the North Atlantic including stops in Greenland and Iceland. This was a major achievement for Miller professionally and a milestone for the company, as it prepared the program with the German Armed Forces. Miller is not just a pilot. When he is not flying, he helps out on engineering tasks as an apprentice aircraft maintenance technician on the Westwind and Alpha jets. It’s a unique skill base that assists him in all flight safety endeavours. Miller is also the company’s deputy flight safety officer, in charge of developing and maintaining safety standards such as fatigue management, human factors and more. Outgoing and friendly, Miller brings an impressive skill base to his role and is an invaluable part of the team. Change agent. Leader. Influencer. Mentor. These are just some of the words that aptly describe 31-year-old Natalie Panek. Panek is a member of technical staff with MDA’s robotics and automation division in Brampton, Ont. Her accomplishments are visible through her trailblazing work on non-traditional projects, and she has been making her mark on the Canadian aerospace industry ever since she set her sights on a career in space. Panek graduated with a degree mechanical engineering degree (with distinction) from the University of Calgary in 2007 and participated in the university’s inaugural solar car project. She attained a VFR private pilot’s degree during her undergraduate studies, and went on to complete her master’s of applied science in aerospace engineering from the University of Toronto in 2009, before accepting two back-to-back internship programs at NASA in 2008 and 2009. Since 2010, Panek has worked at MDA performing robotic analysis for various space programs, and currently is working on MDA’s contract with ESA’s 2018 ExoMars program. 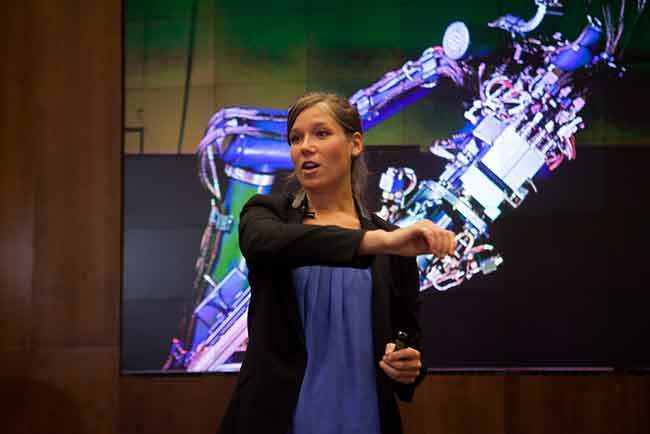 Panek is very passionate about sharing her work with the public, particularly the topic of satellite servicing as a means to more sustainable exploration. Community service and helping mentor young women in career development is something Panek is passionate about, and she is very giving of her time to support a variety of initiatives. She is a mentor for Cybermentor, a University of Calgary program that promotes women in science and engineering, and is also a member of their advisory council. Panek also mentors through the 4-H Canada’s Leadership Excellence Awards of Distinction (L.E.A.D.) program and has worked as a judge and volunteer for important organizations such as the Ninety-Nines and Women of Aviation Worldwide. She is also a passionate speaker and writer for a number of organizations. Panek possesses a unique combination of skill, dedication and insight, helping Canadian aerospace reach new heights. LOCATION: Portage la Prairie, Man. For Chrissy Perry, teaching aspiring fighter pilots the nuances of their craft is a rewarding and exciting experience. Perry, 39, joined KF Aerospace Defence Services in Portage la Prairie, Man. as a class 1 instructor in the fall of 2008. KF Aerospace Defence Services is the primary flying training school for the Royal Canadian Air Force (RCAF). Perry was employed as a line instructor upon joining the operation, but within a few years, she moved to the role of assistant chief flying instructor. In fall 2010, Perry was promoted to chief flying instructor, and has done an outstanding job guiding the careers of aspiring military pilots. She supervises a staff of 25 instructors, has developed – with Transport Canada – one of four instructor refresher courses in Canada, worked with the DND as a liaison in the policies and procedures of the flying program and so much more. In addition to providing her students with the skills and knowledge to advance their careers as military pilots, Perry has still found time to carry out a bachelor of arts at the University of Manitoba with a strong base in psychology. Always learning and honing her craft, Perry is a professional, dedicated leader who excels in all aspects of her role. In many ways, Erik Polzin, is living a life many only dream of. 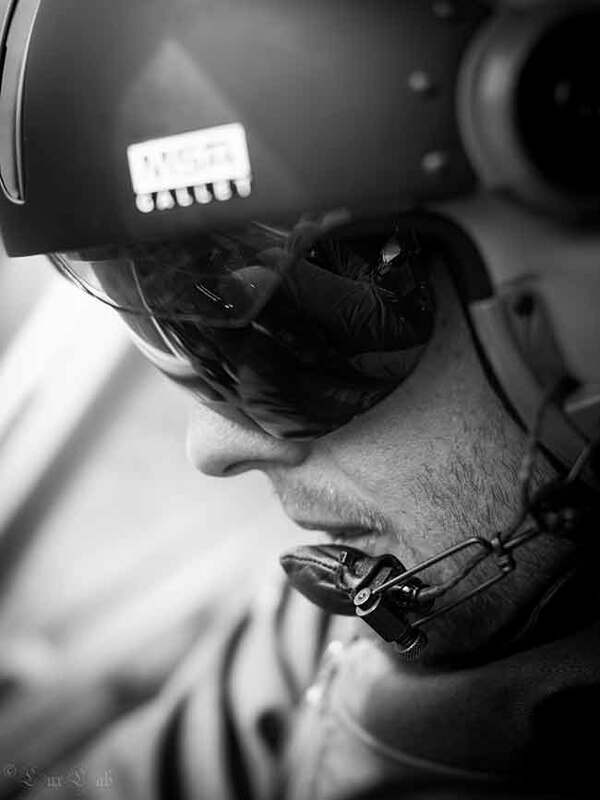 Polzin, 33, is a commercial pilot and engineer with in the Canadian VFR helicopter industry with an affinity for the Far North – its people, culture and varied flying experiences it provides. He is the founder/CEO of Sitka Aviation, a Sprucedale, Ont.-based firm that caters to a wide range of clients in a variety of disciplines. Polzin has flying endorsements on several machines and is qualified to work on Bell, Airbus and Robinson helicopters – mastering the ability to offer his customers both flexibility and expertise in a number of realms. His path to success has been gleaned from good old-fashioned hard work, persistence and dedication to his craft. 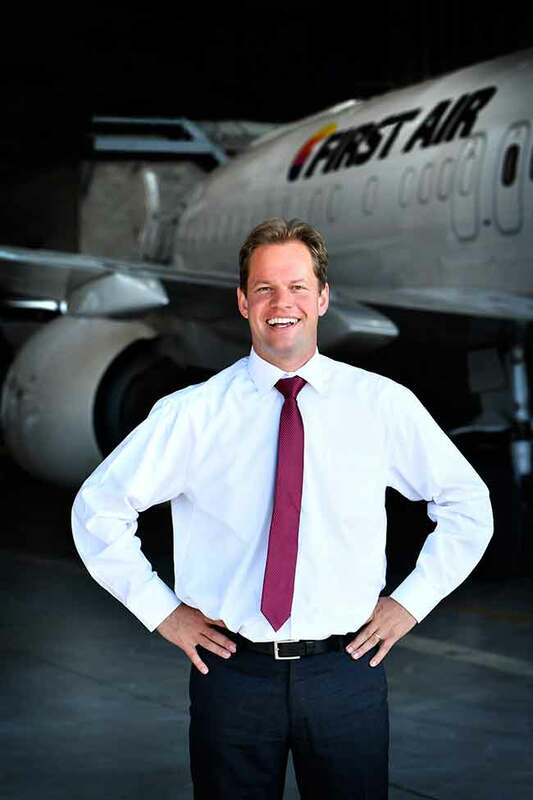 After attaining his commercial pilot’s licence from E-Z Air Helicopters in 2004, Polzin quickly enhanced his skills with a bachelor’s degree in aircraft maintenance engineering in 2007. He went to work as an apprentice engineer in 2007 with Chilliwack, B.C.-based Western Aerial Applications before catching on as an engineer/pilot at Bi-Air Applications. He moved to a role of seasonal pilot with Glacier Helicopters, before catching on with Trinity Helicopters, which later merged with Summit Helicopters in 2013. 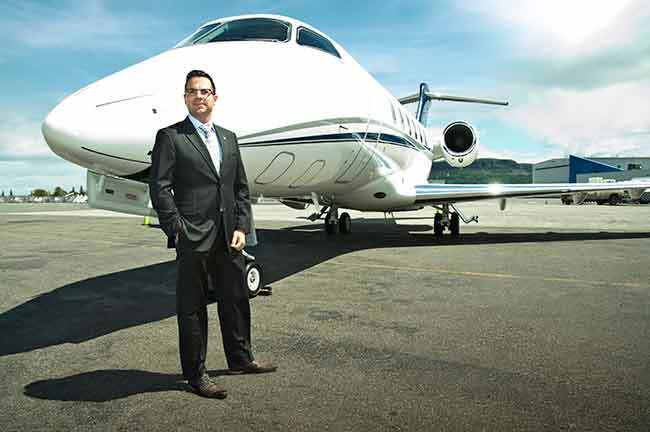 Bitten by the love of the Far North and the chance to operate his own business and service his own clients, he created Sitka Aviation in 2013 – and hasn’t looked back. Polzin’s entrepreneurial spirit, “can-do” attitude and commitment to the highest standards for his clients have helped make his dream of business ownership a success. Jeff Roberts prides himself on his versatility and ability to handle a variety of jobs in a professional, efficient manner. 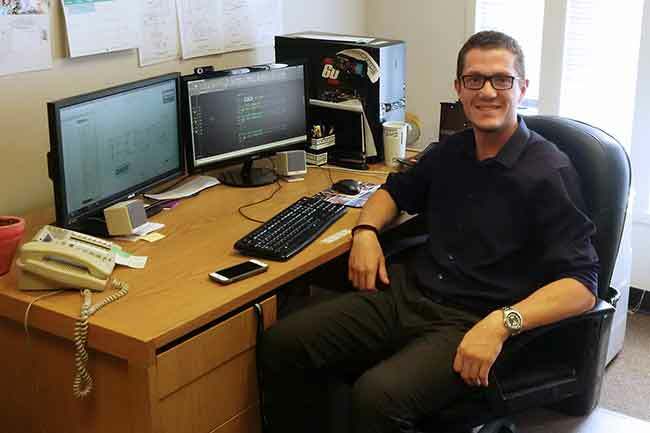 The 27-year-old Avionics/Electrical Systems Designer and AME at Avmax in Vancouver has proved to be an invaluable addition to the team when he came on board three years ago. 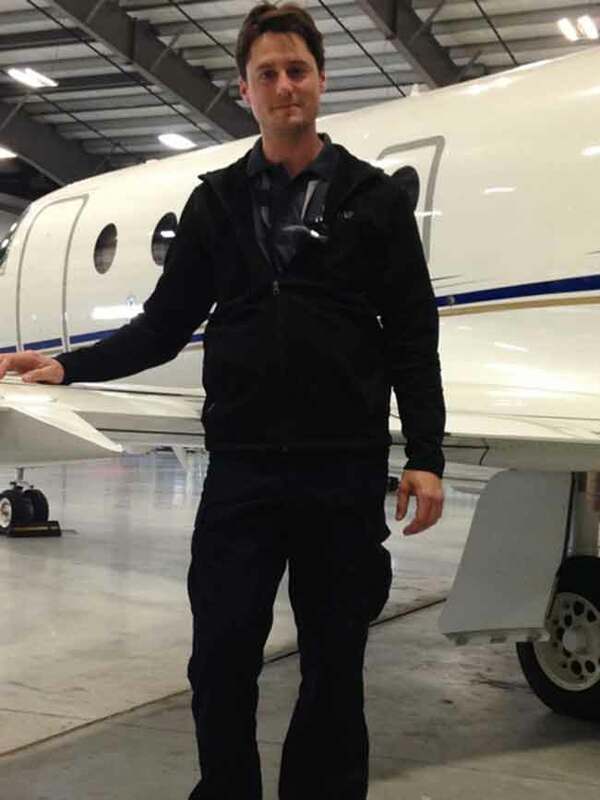 Roberts graduated from BCIT in 2008 from the Avionics Maintenance Technology program and spent four-and-a-half years at Kelowna Flightcraft (now KF Aerospace), where he gained his AME licence before joining the team at Avmax. He started out in the avionics division before progressing to the engineering division. He has worked at both the Calgary and Vancouver locations, and has travelled all over the world, handling a variety of different tasks. Roberts’ interpersonal skills and strong sense of customer service often stand out, and he is often complimented for his business acumen and overall knowledge base. Roberts also shows his leadership skills in his community. He is the founder of Family Photos Kelowna, an organization that raises funds for cancer research. 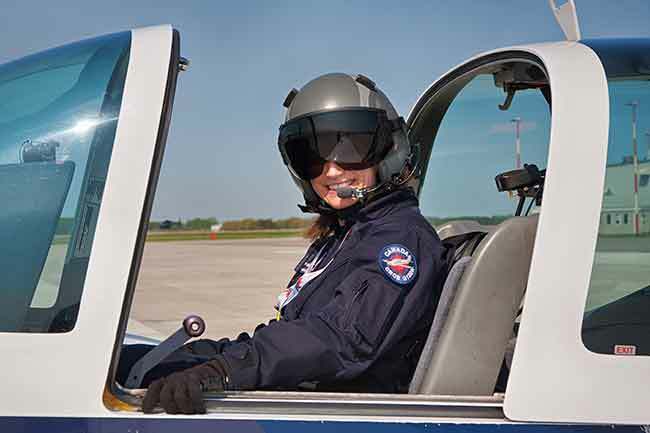 Stephanie Robinson was trained to be at a pilot at Seneca College in the bachelor of aviation technology program and she continues to share her passion with aspiring aviators learning to soar. Robinson, 25, is a B1900D captain with Mississauga, Ont.-based Air Georgian and is a spokesperson for the Seneca Career Pathway Partnership. A dedicated member of the aviation community, Robinson has already won several awards for her positive outlook and enthusiasm for her craft, including the Russ Bannock Award and the Lloyd Cripps Memorial Award. She has also participated in numerous career events to promote and educate the next generation of pilots. One of the main messages Robinson likes to share with aspiring aviators is there are many avenues you can follow to attain your final role as a commercial pilot, just don’t get discouraged if things don’t work the first time. Persistence, commitment, hard work and dedication will eventually pay off. Robinson is living proof of all of these sentiments. She has set a goal of being part of the training department either on the flight line or in the simulator. Igniting the passions of young adults in both high school and public school is one of her goals. True leaders find solutions to challenges no matter how great they may seem. Graham Snell can certainly relate. 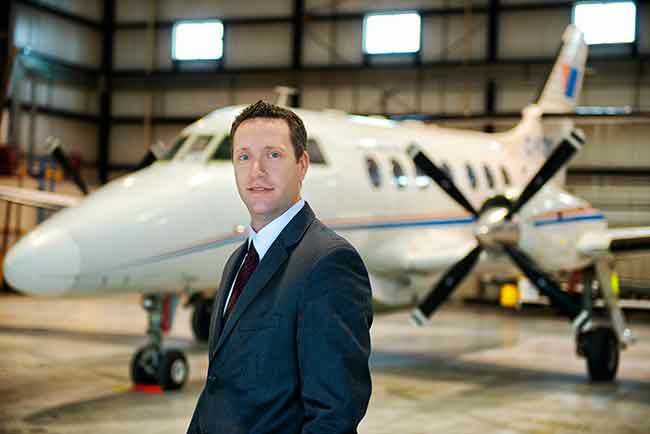 When the 38-year-old was named general manager of the Saskatoon/Regina Aerocentres and Lancaster Aviation Fuels in the spring of 2013, the business had challenges that had been growing for a number of years. Customer service levels were not up to professional standards, the safety commitment was barely acceptable and staff had little direction. Graham has worked tirelessly to rebuild the team and instill a “can-do” attitude that has transformed the business and win customers back. Internal processes from IT to human resources are once again in check, and clients are definitely noticing. Hard work, commitment and sound leadership. Yes, creating a top FBO is a team effort, but Snell has been a driving force in making it all happen at the Saskatoon/Regina Aerocentres and Lancaster Aviation Fuels. With more than 14 years of aviation experience in a variety of disciplines, Mark Steinbeck, 33, certainly has the business acumen and vision to take Montreal’s Traxxall Technologies to new heights. But it’s his sound leadership skills and keen understanding of his craft that help set him apart. Steinbeck has worked his way up in the corporate ranks of three separate aviation companies, enabling him to gain experience in not only aircraft maintenance tracking but sales and marketing, customer service and general management. He started his career at Avtrak managing the customer service team before being promoted to a sales role, where he consistently exceeded all targets and eventually managed the North American sales team. 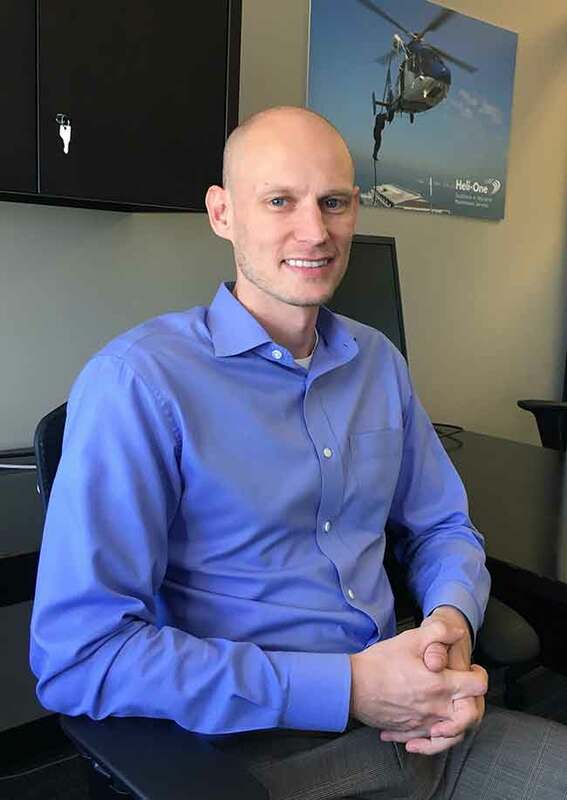 In his next position at aircraft management firm Mayo Aviation, Steinbeck gained an entirely new perspective: the ability to see the industry from a client’s point of view, understanding challenges aircraft operators have in keeping their fleets in top condition. Steinbeck was recruited by Traxxall in late 2014 to a company at a crossroads: the founders had a vision to create a “clean sheet” tracking system moving the company from a product development entity to one concentrating on commercialization. Steinbeck became the driver of the brand, helping to transform and lead the company’s sales team and more. Steinbeck is driven by a competitive spirit, commitment to technological innovation and a passion for service excellence. It’s this rare combination of skills that have helped Steinbeck reach new heights. Bert van der Stege is certainly not afraid to shake things up. The 38-year-old vice-president of Kanata, Ont.-based First Air has played a critical role in the restructuring of the airline since joining the organization in November 2013. First Air is currently in the midst of a three-year transformation that includes a $110-million investment in modernizing the airline’s fleet including the introduction of new ATR 42-500 aircraft. Van der Stege has been instrumental in spearheading the introduction of new codeshare partnerships with other northern carriers to allow each partner to benefit from efficiencies and synergies. He also started a strategic alliance with CargoJet and Alaska’s Lynden Air Cargo for a critical heavy-lift Hercules operation. Gabriel Zellbeck, 34, isn’t one to back down from a challenge. Zellbeck got his Canadian CPLH certificate from Helicopters Canada in North Bay, Ont. and got his first break with L R Helicopters in Calgary. He flew as a news pilot on the Robinson R44 and then spent countless hours flying tours and ENG to build time. When the opportunity to move over to a pilot training role came along, Zellbeck seized it. A passionate and dedicated instructor, he is happy to provide the necessary instruction to his students, but also to share stories and experiences that reflect his unique combination of effort and enthusiasm it takes to achieve every goal. Zellbeck continues to hone is craft, accumulating some 2,000 hours as a vertical reference and forestry pilot. His ability to plan, organize and execute all roles is an inspiration to both students and staff alike.